Emmanuelle Riva (French pronunciation: ​[emanɥɛl ʁiva]; born 24 February 1927) is a French actress, best known for her roles in the films Hiroshima mon amour and Amour. In 2013, Riva won the BAFTA Award and the César Award for her lead role in Michael Haneke's Amour as Anne Laurent, and was nominated for the Academy Award for the same role. She had previously been nominated for a BAFTA Award in 1960 for Hiroshima mon amour, and had won Best Actress at the Venice Film Festival in 1962 for Thérèse Desqueyroux. 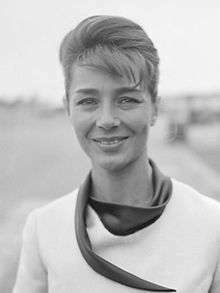 She was born Paulette Germaine Riva in Cheniménil, France. She grew up in Remiremont. Riva was the only child of Jeanne (née Nourdin) who descended from a family of Lorrainian and Alsatian farmers and Alfredo Riva, an Italian sign painter from Lombardy. Riva moved to Paris at the age of 26 in 1953 from her home in rural France to become an actress, despite opposition from her family. She started her acting career on the Paris stage after having trained as a seamstress. She never married and has no children. She lives in Paris. She speaks French and some Italian but not English and has never performed in English. Her best known role was as Elle in Hiroshima mon amour (1959) directed by Alain Resnais and written by Marguerite Duras, for which Duras was nominated for the Academy Award for Best Original Screenplay. She appeared in Kapò (1959), which was nominated for the Academy Award for Best Foreign Language Film from Italy, Adua and her Friends, (1960) starring Simone Signoret, Leon Morin, Priest (1961) opposite Jean-Paul Belmondo and directed by Jean-Pierre Melville, Thérèse Desqueyroux (1962), Thomas the Imposter (1965), Three Colours: Blue (1993) as the mother of Juliette Binoche, and Venus Beauty Institute (1999) alongside Micheline Presle. In 2011, Riva appeared in Le Skylab starring and directed by Julie Delpy. In 2012 she received rave reviews and an Academy Award nomination for her role opposite Jean-Louis Trintignant in Amour. The 85th Academy Awards just happened to be held on her 86th birthday. Riva traveled to Los Angeles where she lost the award to Jennifer Lawrence. Riva tied with Lawrence for the LA Film Critics Best Actress Award, and also won the NSFC Best Actress Award among numerous other mentions for her performance. Riva has enjoyed an extensive theatre career in her native Paris, France. In 2001, she performed in a production of Medea at Odéon-Théâtre de l'Europe. She has also appeared occasionally on French television programs. In February 2014, Riva returned to the Paris stage performing in Savannah Bay by Marguerite Duras at Théâtre de l'Atelier. While filming Hiroshima mon amour, Riva photographed Hiroshima; a half-century later these photographs were exhibited at the Nikon Salon and were issued in book form in France and Japan. Riva is a published poet. Riva, Emmanuelle (1975). Le Feu des miroirs (in French). Paris: Éditions Saint-Germain-des-Prés. Riva, Emmanuelle (1976). Juste derrière le sifflet des trains (in French). Paris: Éditions Saint-Germain-des-Prés. ISBN 2-243-00380-5. Riva, Emmanuelle (1982). L'otage du désir (in French). Paris: Nouvelles Éditions latines. ISBN 2-7233-0184-2. Riva, Emmanuelle (2008). Hiroshima 1958 (in Japanese). Tokyo: Inscript. ISBN 978-4-900997-22-6. Riva, Emmanuelle (2009). Tu n'as rien vu à Hiroshima (in French). Paris: Gallimard. ISBN 978-2-07-012298-1. ↑ "Youngest v oldest actress vie for Oscar as Lincoln leads the pack". The Times. Retrieved 10 January 2013. ↑ Walker, Tim (10 January 2013). "Quvenzhané Wallis v Emmanuelle Riva: Best actress Oscar contested by oldest and youngest ever nominees". The Independent. London, UK. Retrieved 10 January 2013. ↑ Profile, lesinrocks.com, 29 October 2012; accessed 23 August 2015. ↑ "Emmanuelle Riva 'Hiroshima 1958'", Tokyo Art Beat. エマニュエル・リヴァ展 [Hiroshima 1958], Nikon. Both accessed 2010-07-24. ↑ Kim Willsher "Emmanuelle Riva, 85, star of Amour, tells of her extraordinary life", The Observer, 10 February 2013. 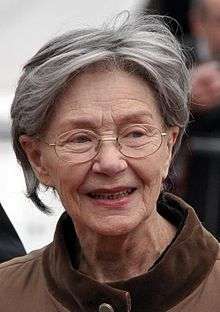 Wikimedia Commons has media related to Emmanuelle Riva.